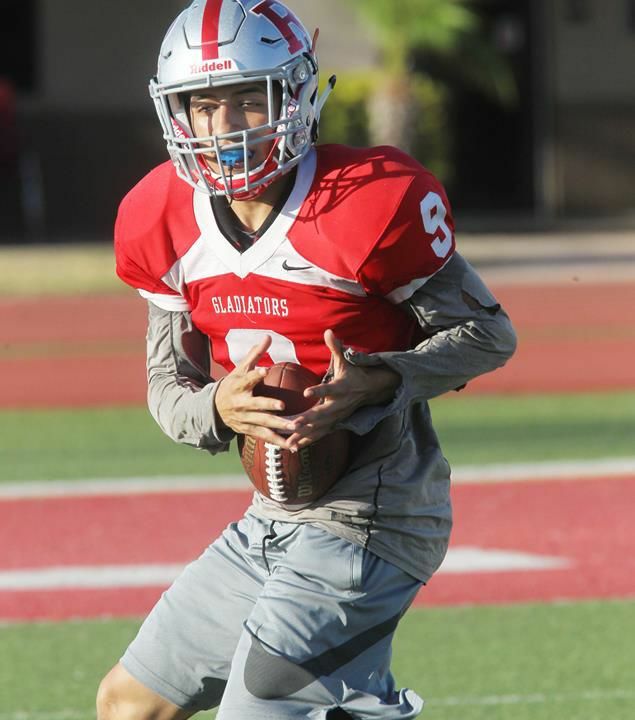 Roma varsity wide receiver Adrian Maldonado looks to catch a pass during practice Wednesday, Sept. 5, 2018, at Gladiator Arena in Roma. A small part of what a football coach does is motivating all of his players to improve. Most players might need a little push at the behest of their coach, but the remaining group of athletes know how to start their own engines, if and when the moment calls for them to do so. When a football coach finds a self-motivator on his team, he feels a brief sense of relief, but understands he might have to find creative ways to push the self-motivated athlete to reach their peak performance. Roma coach Frank Villanueva had known senior defensive back Adrian Maldonado was of the rare self-motivated mold.